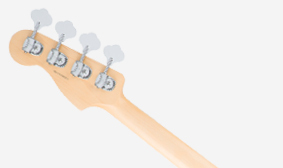 Updating Fender's classic design with revolutionary technology and sound, the American Elite Precision Bass is an entirely new beast of a bass. 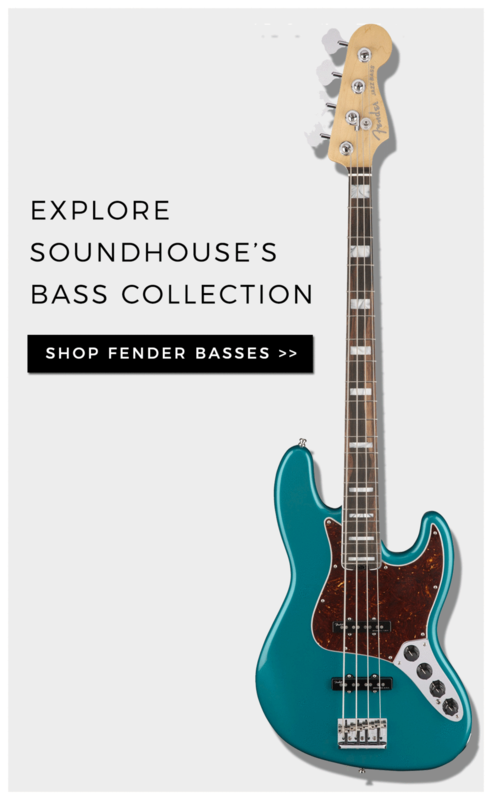 Designed for 21st-century players who push the envelope of tone and possibility every time they play, this bass is a multi-faceted performer with classic style, exceptional feel and versatile, giant sound that leaves others in the dust. 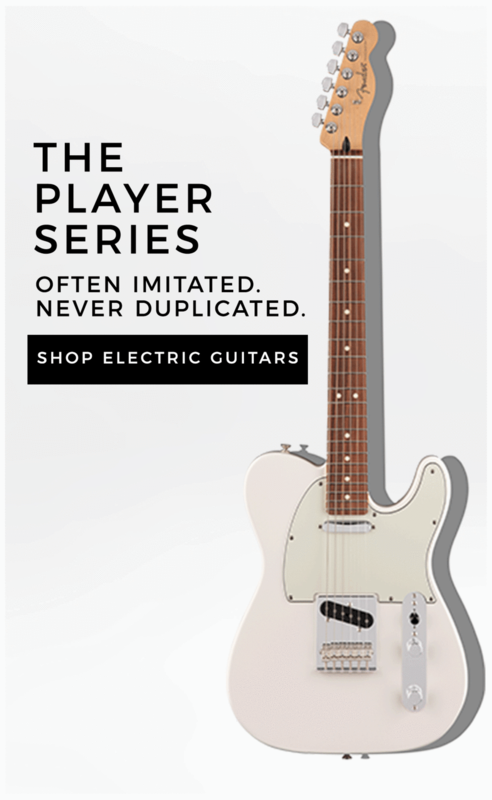 Designed for 21st-century players, the American Elite Series sports a new compound neck profile designed for comfort and the ultimate playability. 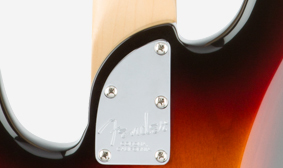 A modern "C"-shape at the nut, the rear of the neck morphs along the length of the neck to a modern "D"-shaped profile at the updated neck heel, providing plenty of ergonomic support. 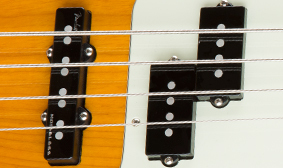 This bass combines authentic vintage-style Fender sound with noise-free performance in a unique "PJ" configuration featuring a split-coil P Bass pickup and a Jazz Bass Noiseless Pickup. A quantum leap in pickup technology, the bleeding-edge Noiseless pickups are the pinnacle of our pickup designs, offering crisp, clear cleans and gigantic overdriven tones bursting with pure rock power. 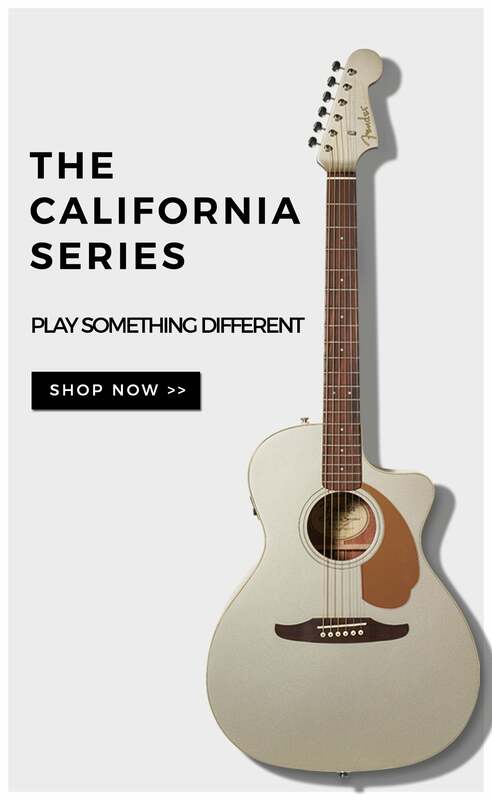 For improved upper register access and elegantly functional modern style, the American Elite Series' new cutaway neck heel blends into the asymmetrical neck volute for comfortably enhanced playing feel. 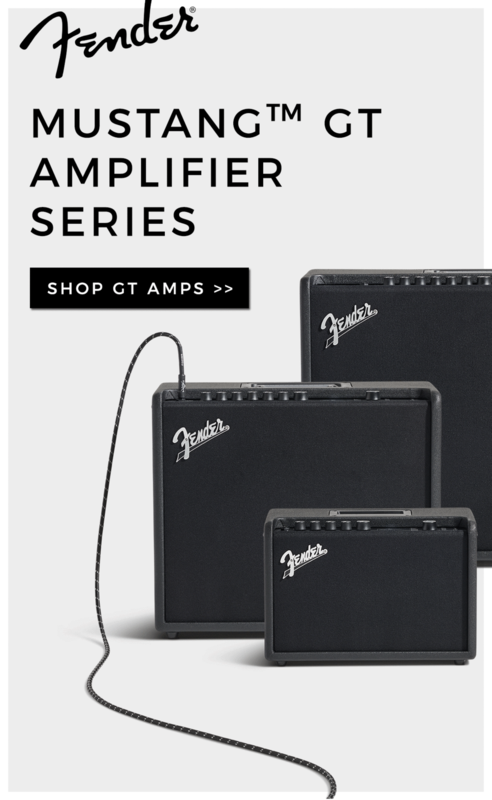 The redesigned robust 18-volt preamp cranks up the power for even more signal quality, creating chest-thumping tone with more headroom and reduced noise. Working in tandem with the muscular Noiseless pickups, the new preamp adds a even more tonal versatility to your instrument. 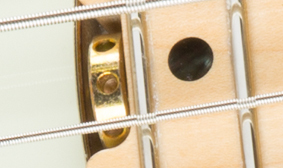 The new truss rod adjustment wheel makes it a snap to adjust the instrument's neck relief. 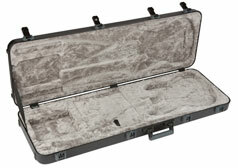 The redesigned Elite Molded Case features body-hugging contours to provide increased protection for your cherished instrument, nested stacking ability for easy storage and more secure transport and TSA latches for increased security. 2-Way Mini Toggle Switch for Active/Passive Mode. 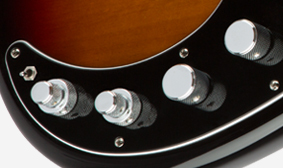 In Passive Mode, Only The Volume, Pan and Passive Tone Controls Function. In Active Mode, All Controls Function. Compound Back Shape, Modern "C" to "D"
California Proposition 65 WarningWARNING: Cancer and Reproductive Harm - www.P65Warnings.ca.gov.